Shopping for Looney Tunes Statues? Jim Shore's Tasmanian Devil personality pose captures the essence of the iconic Looney Tunes character using Jim's signature colors and unique folk art style. 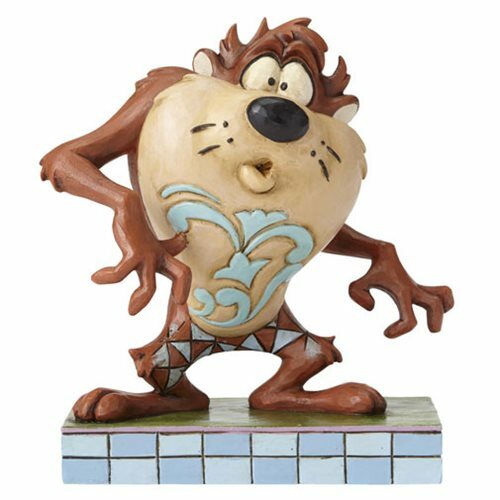 The Looney Tunes Jim Shore Tasmanian Devil Statue is made of stone resin. Measures about 4-inches tall x 3 1/4-inches long x 2-inches wide. Ages 13 and up.